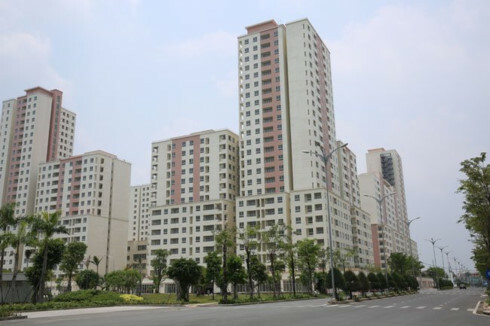 The HCM City property market has witnessed robust growth in various segments, such as retail space, offices, serviced apartments and hotels, according to property consultancy Savills Vietnam in a report on the local real estate market in the third quarter of this year, released on October 8. Savills stated in the report that the total retail stock in HCM City was 1.2 million square meters in the third quarter, with over 55,000 square meters added on, due to the entry of three shopping centers and two supermarkets. One department store downsized, withdrawing 7,300 square meters. The average gross rent decreased by 1% quarter-on-quarter and 3% year-on-year, as new supply in the non-central business district (CBD) region offered competitive rent. Average occupancy increased 1% quarter-on-quarter even after the entry of new supply. Retail sales had strong growth at 12% year-on-year, where the food and beverage sector grew 13% year-on-year. High retail density in the CBD and non-urbanized areas encouraged retailers to renovate and revise the tenant mix for wider appeal. Savills forecast that over 100,000 square meters will be added in non-CBD districts in the fourth quarter of this year, which will pressure overall performance. Regarding office space, one new Grade B and one new Grade C office added roughly 9,000 square meters to the total office space, which reached over 1.8 million square meters, increasing by 1% quarter-on-quarter and 6% year-on-year. Overall performance continued to improve, with average rents increasing by 3% quarter-on-quarter and 7% year-on-year. The surge was due to rent increments across all grades, especially Grade A. Average occupancy was 97%, up 1% quarter-on-quarter. Given the very low vacancy rates and lack of new supply in the upcoming quarters, Savills predicted that the office segment would continue its strong performance. By 2020, some 387,000 square meters will be added. Meanwhile, serviced apartments also saw robust upscale. One new serviced apartment project and four new phases added some 450 units, while one project withdrew. The total stock was more than 5,500 units, up 6% quarter-on-quarter and 16% year-on-year. Average occupancy was 84%, increasing by 1% quarter-on-quarter due to the improved performance of CBD projects. The majority of take-up was from Grades A and B, and average rent increased by 1% year-on-year. The realty consulting firm forecast that more than 1,500 units from 11 projects will enter the market from the fourth quarter of this year to 2020. Bucking the general trend in the realty market, the hotel segment took on the downtrend, as one 5-star and two 3-star hotels closed for renovation, equivalent to 393 rooms. Room supply was down 3% quarter-on-quarter and 4% year-on-year to some 15,800 rooms from 127 hotels. The low season saw average occupancy dropping by 1% quarter-on-quarter but was stable year-on-year. Meanwhile, the overall asking rental rate gained 3% year-on-year, a significant improvement in the context of increasing competition between tourism destinations. The apartment segment also took nosedive, as only 14 new projects and 10 launches of new phases provided over 7,700 units. Primary supply dropped by 26% quarter-on-quarter and 47% year-on-year to 18,800 units. There were more than 10,000 sales, down 30% quarter-on-quarter and 13% year-on-year. Absorption was 53%, down 3% quarter-on-quarter but up 21% year-on-year. Grade C continued to dominate with a 54% market share, while Grade A sales increased 58% quarter-on-quarter.